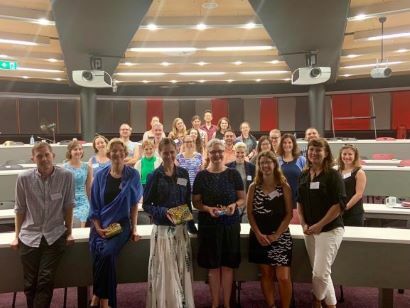 The 4th Variation and Language Processing Conference (VALP4) was held at Macquarie University from 23-25 January, 2019. The conference was organised by Dr Anita Szakay and Joshua Penney and was sponsored by the Department of Linguistics and the Centre for Language Sciences at Macquarie University. In addition to three keynote addresses by Associate Professor Katie Drager (University of Hawai`i at Mānoa, USA), Dr Lynn Clark (University of Canterbury, New Zealand), and Distinguished Professor Katherine Demuth (Macquarie University), the conference included three days of oral presentations from researchers from Australia and New Zealand, Asia, Europe, and North America. Most of the talks considered how social and linguistic information are intertwined during language processing by monolinguals, bilinguals, as well as children. VALP5 will be held at the University of Copenhagen in 2021.